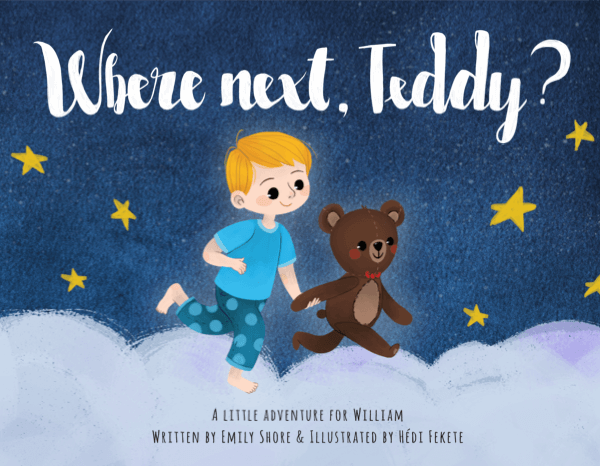 Bring story-time to life with 'Where Next, Teddy?' 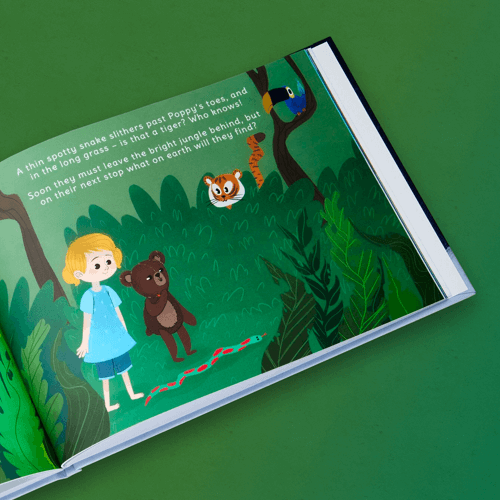 - the beautifully bold personalised storybook. 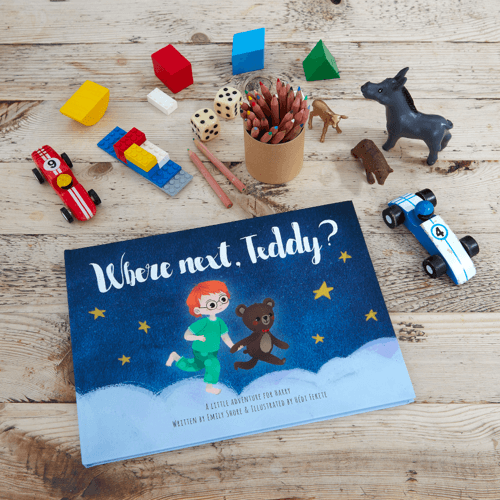 Put your child at the heart of the story with our “Where Next, Teddy?” personalised storybook. Create a character that looks just like your little one, type their name and then watch as they’re added into the story, as if by magic. Smiles are guaranteed with this stunning and unique storybook. Join Teddy on a dreamy adventure from outer space to the bottom of the sea, from the wild jungle to the big city, and everywhere in between. Discover shooting stars, playful penguins, forgotten pirate ships, and all creatures great and small. Who will you meet, what will you see, and where will you go next? Find out in ‘Where Next, Teddy?’ from Chapterful. Put your child at the very heart of the story. 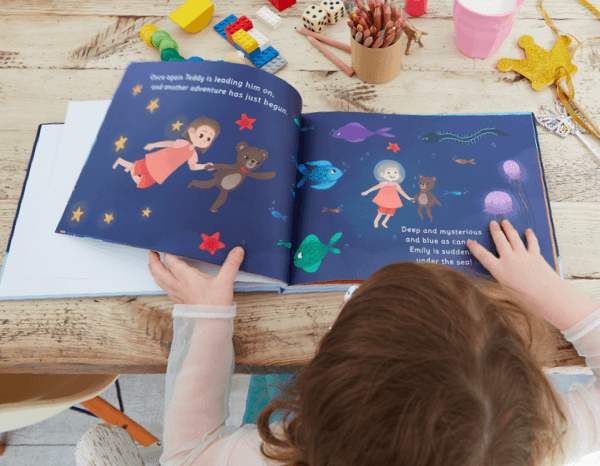 Our books are printed with complete personalisation, adding your little one's name and character into every page of the book. Our prices are all-inclusive: Book prices include packaging and delivery to anywhere in the UK. There are no strings attached, just happy memories. 'Where Next, Teddy?' is written, illustrated, designed and printed right here in the UK. You can expect a great story, exceptional quality and unbeatable customer service. A beautifully produced book, a great story and something that makes Oliver excited for bedtime. Time after time, Ollie loves to hear about his and Teddy’s adventures – especially as they fly through space. Really pleased with the book. Jess is in love with her book. She can’t get enough of Teddy and the quirky characters they meet throughout the story. I’m sure I speak for the both of us when I say that we can’t wait for the next book! Each copy of Where Next, Teddy? is as unique as your little one. Pick a character that looks like your child, add their name and then wait for your magical book to arrive, ready to transform bedtime stories forever. Every Chapterful book is printed on-demand, allowing for your little one to be inserted directly into the story. Once printed, our free-of-charge delivery will whisk your book straight to your front door. Chapterful books can be produced in soft-back, hardback and cushion-back finishes. 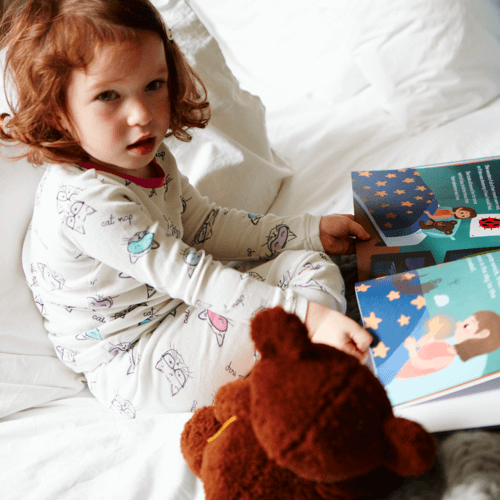 From a thoughtful bedtime story, right through to a gift that will be remembered for a lifetime, each of our books are filled with love. Ready to create your own personalised book?